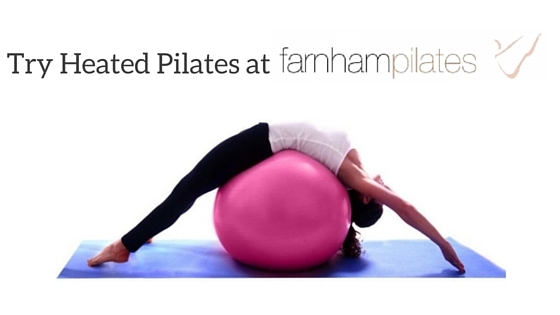 We are delighted to announce that we are adding Heated Pilates to our timetable at Farnham Pilates from January, 2016. But what is Heated Pilates? Heated or warm flowing Pilates is an effective workout in a warm environment. The class uses the benefit of heat to help muscles into muscles more deeply and effectively and the heat allows for a greater range of movement in muscles, ligaments and joints. A heated Pilates class covers a number of areas including Dynamic Mobility, Strength, Flexibility, Balance and Core Stability Work. 1) Detoxification -Obviously when exercising in heat you will sweat more, and sweating promotes detoxification through the skin. Sweating is very effective in flushing out toxins and it also helps the body cleanse itself and clears bacteria out of the skin. Sweating can improve circulation and the appearance of your skin too. 2) Increased Flexibility – The high temperatures allow you to stretch your muscles further and can reduce the risk of injuries. It can also improve circulation and can help ease bodily pains, strains and stresses. This can lead to healthier connective tissue as the additional stretching helps lubricate your body’s connective tissue which will in turn help your flexibility. 3) Mental Wellbeing – Heated Pilates can help your mental wellbeing by fighting stress and insomnia. This is achieved by inducing relaxation and encouraging sleep by calming and soothing your adrenal system and nerves. All the normal benefits of Pilates are enhanced in a warm class. 4) A healthier immune system – In hot temperatures viruses cannot thrive. Additionally, the heat increases your body’s production of white blood cells, which also fight infection. 5) Weight loss – Sweating will help you lose some weight, but more noteably, the stretching builds more muscle, burning more fat and therefore increases weight loss. Sound good? We’ve had some great feedback already from a couple of trial sessions we have run. 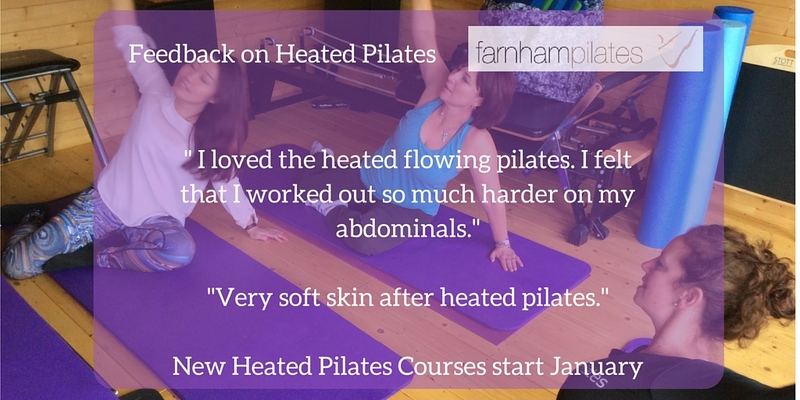 To see our full programme of classes for the New Year, including Heated Pilates visit our classes page.